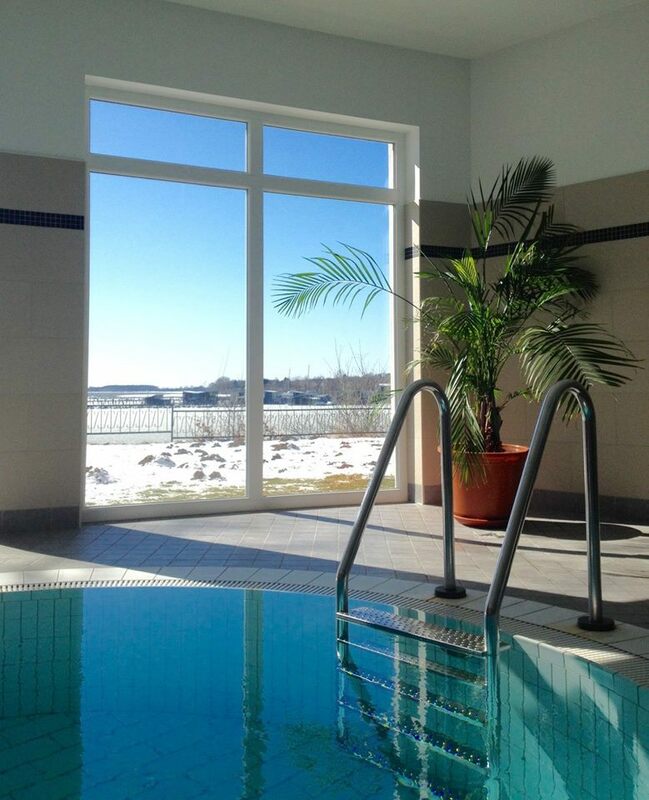 Dive into our freshwater pool or awaken a very special feeling of well-being in our thermal brine baths from our own spring in the "Luisenbrunnen". 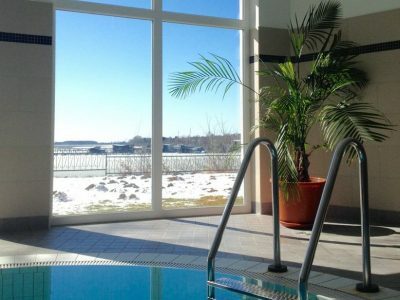 Relax in the 30°C brine exercise pool or the 34°C brine warm-up pool with a direct view of the Greifswald Bodden and Lauterbach harbour. Dive into relaxation and well-being. 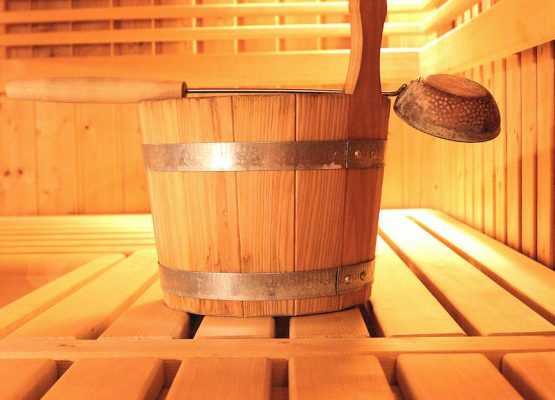 Our spacious sauna area is particularly suitable for your regeneration on cold days. 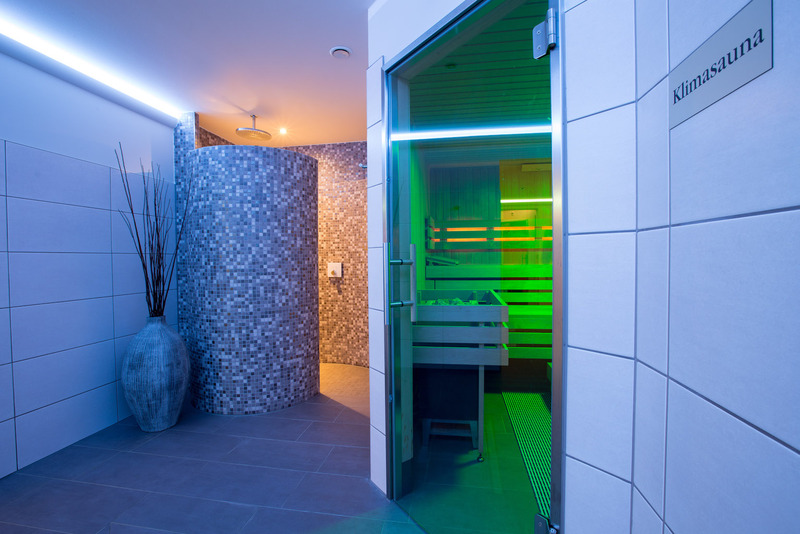 You will certainly find a place to relax in our steam, climate or Finnish sauna. 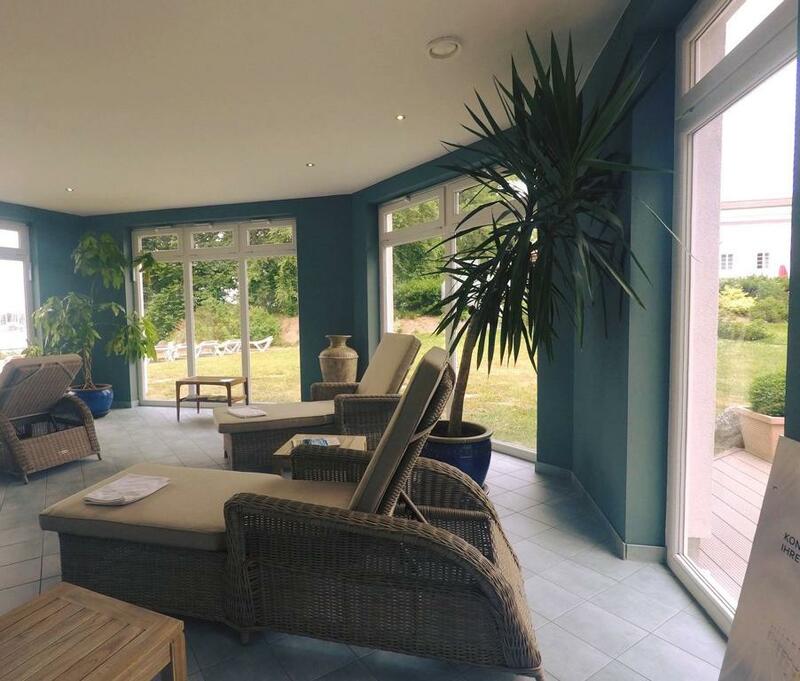 The relaxation room "Am Kliff" at the Greifwalder Bodden invites you to relax. You are also welcome to use our spa area as a Rügener and out-of-home guest. Inform yourself beforehand under 038301/88260. As a wellness hotel we naturally offer you an extensive selection of massages and beauty treatments. Our services range from massages and aroma baths to facial treatments and body cosmetics. Our experienced wellness team will be happy to help you relax and regenerate and will be happy to answer any questions you may have. (We recommend that you arrange appointments for spa treatments before your arrival) Cosmetics and massages at the Hotel Badehaus Goor. Well-being for body and mind. 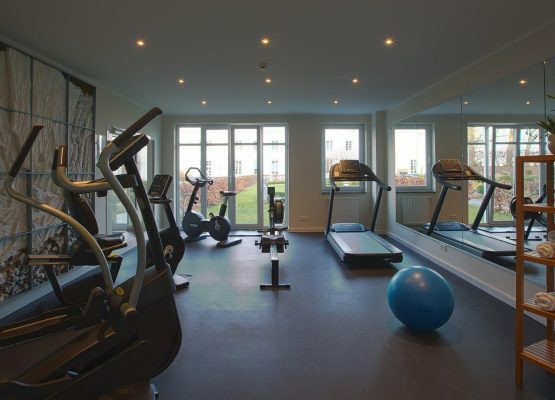 As a health-oriented hotel, we also offer our guests external health services. Pain treatment without medication? Permanent and healthy weight loss? Get to know the diversity of fasting? We always have the right one for you! Nobody wants to miss salt in their soup. It has been proven to be indispensable for the human body - be it to regulate blood pressure or to control the water and nutrient balance. In addition, this inconspicuous-looking mineral has been used as a remedy for thousands of years - mainly in dissolved form, as brine. 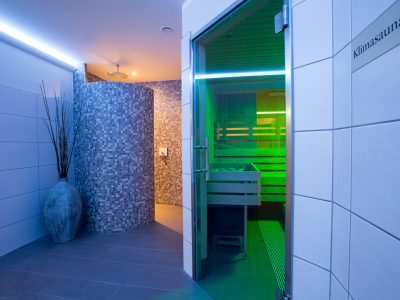 Our brine exercise bath with 30°C and our brine warm-up pool with 34°C offer you a very special feeling of well-being. The fluoride- and iodine-containing natural brine is extracted from our own "Luisenbrunnen" at a depth of 658m and prepared for you in various concentrations. 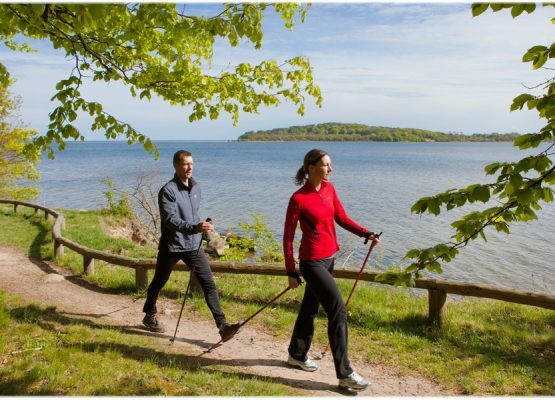 With the pain therapy according to Liebscher & Bracht, over 90% of all pain in the musculoskeletal system can be treated successfully in a natural way without medication or surgery. Heilpraktiker and Physiotherapeut Manfred Wyskocil welcomes you in the Physio pain therapy practice in the hotel bath house Goor after personal date arrangement. In cooperation with the health company "Sinnbild" we offer you several times a year in our house fasting courses, according to Dr. Buchinger and basic fasting with cooking course. Feel invited to get to know the variety of fasting. 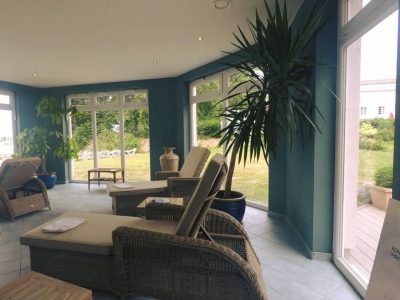 Immerse yourself with us in your own world of experience and feel how your senses become finer, your consciousness wider, your body feeling lighter and your limbs more flexible. Experience how your body consciousness develops and use the cleansing and clarification processes to activate the creative fountain of youth. This fasting program is holistic and gives impulses as well as suggestions suitable for everyday life for a self-responsible, vital and healthy life. Dates 2019: Fasting according to Dr. Buchinger: 12.05. to 18.05. & 19.05. to 25.05.; 13.10. to 19.10. & 20.10. to 26.10.